I have a friend who was unfortunately involved in two car accidents a few years ago. When the accidents occurred, she was obviously disoriented and under a great deal of anxiety. Days later, after being able to think about what had happened, she wished that she would have been more organized during the events. After both accidents, she realized that she had forgotten to write down important information like the license plate numbers of the other cars. Wanting not to be caught off guard again, she created a worksheet to keep in the glove compartment of her car in the same folder as her insurance card and registration. (If you do not have Adobe Reader, you can download it here.) 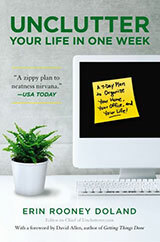 This is a situation when being organized can help you greatly. At the time she had her accidents, she recommended carrying a small, digital camera to photograph the accident scene. Today, most people have smartphones that will not only take high quality photos, but video as well. Just remember to keep your phone charged! Now, let us hope that you never have to use this worksheet! 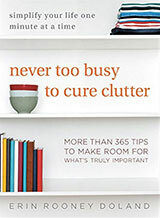 If you do, however, rest assured that you’ll be organized and you won’t forget to gather any important information. My insurance company used to give out a similar worksheet. I’ve been involved in several accidents over the years and they have made all the difference! If you can’t recall the details to support your story, you’re done. They also included a “what to do in an accident” card which I followed when I was too rattled to think straight. Again, it was an enormous help. Another tip is to write down the license plate numbers of other drivers on scene who may have witnessed the accident — even if you are not able to get their names. This was recommended by the officer investigating my accident where the other driver’s story started to change. The police can follow up with these drivers if needed to confirm the sequence of events. @mamacita–The typo has been fixed. Since I have a hipsterPDA, it was very helpful when I got rear ended on the daycare run to school, and even gave the person who hit me some cards to write down my contact information on. I also keep a disposable camera in the car in case there’s damage. I’d recommend swapping a new camera out on occasion just to make sure the film is good. I’ll use the camera in a pinch when visiting with friends and replace it with a fresh one at my next visit to the store. 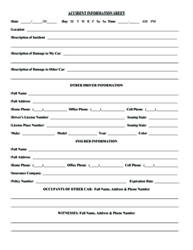 The Insurance Bureau of Canada also offers a Collision Report Form (http://www.ibc.ca/en/Car_Insur.....t_Form.pdf). Personally, I really like the Quebec version, which is called a “Joint Report” (http://www.infoassurance.ca/en.....report.pdf). I would recommend to add a section for weather conditions. It can be helpful to know if it was raining or sunny and also to know if you were driving towards the sun (which can cause a glare). I think the camera is a great idea. I had an accident and forgot my phone had a camera on it and did not get much needed pictures. I read that you should get out of the traffic as soon as possible, but it should have said “as soon as pictures are taken.” Trust me! My insurance company used to give out similar worksheets, complete with a place to draw a sketch of an intersection and guidelines to help you draw it. It is a shame that they don’t produce such work anymore. 1. Call the police. They are the only ones who can file and actual report, and even without a report they are definitely a uninterested third party that either insurance company can contact. This may vary from state to state though. 2. Get the names and phone numbers of any witnesses. They are invaluable because otherwise it’s your word against theirs. A kind person who witnessed an accident I was in took the time to give us both his name and phone number to pass along to the insurance company. Even if it seems like a minor fender-bender where it looks like no-one is hurt, this is so important. Some injuries are not apparent in the first minutes, when you are disoriented. Please take the time to offer help, even if you didn’t see anything. Having a neutral person present for the aftermath can also prevent road rage, help with phone calls, photos, reminders to get license plate numbers and drivers license numbers. I witnessed an accident recently, and stopped to give my info to the drivers. The at-fault driver was very upset, and I was able to calm her, and point out that her previous good driving record meant that she would see only a minute change in her insurance (in our province). The other driver was from the U.S., and wasn’t sure what steps to take, and i was able to help him with that- contact the police, our main provincial auto insurance provider, and his own American insurance provider. I was unable to stay until the police came, but typed out a report of what I saw when they later contacted me. Paying it forward from the kind person that took time to help me felt good. I witnessed a tiny fender bender a few weeks ago between two teenagers. Driver A was driving in a parking lot and hit Driver B as B was pulling out of a parking place. Clearly B was at fault, but A was shaken up and apologizing. I checked to make sure they were OK and once I heard A apologizing, I was able to pull her aside and tell her she wasn’t at fault and not to admit or blame. Neither of them knew what to do, even though B’s mother was there at a store. I made sure they exchanged info, took pictures, and had my contact info, but this form would have been very helpful, and I will now have several copies in my glove box. Also, how about a claim tracking form to go along with it?